We’re very excited to announce that our collaboration with Maroon 5 guitarist, James Valentine, has won “Best in Show” at the 2016 National Association of Music Merchants (NAMM). The yearly NAMM trade show highlights the newest innovations in musical products, and is attended by musical instrument businesses and vendors from around the world. It is a huge honor to be recognized by this organization and our peers. 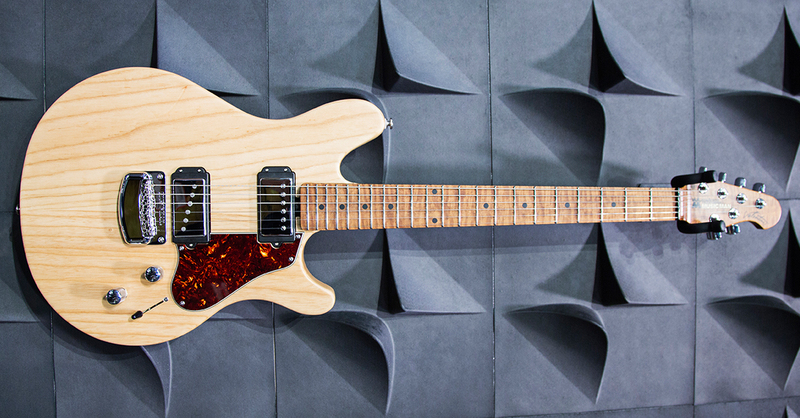 We’d like to thank NAMM, James Valentine, and the Ernie Ball Music Man family who made this gorgeous guitar possible. James is just out of this world!His sound is so subtle and yet so impressively distinctively authoritarian. Congratulations to You and Maroon 5. Great and all, but Annie Clark’s St. Vincent Signature model just tears me up! I’m in for one of those. It’s just gorgeous. Owessome. We need new guitars. Ernie ball and James rocked it. Just owessome. Son hermosas y de excelente calidad, felicitaciones!! !